Aqua pearls are coloured balls that grow when water is added to them, making each aqua pearl look stunning. Koch & Co offers them in a wide range of colours, so you can find the perfect one for your home or event. 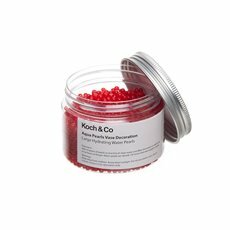 Hydrogel and Aqua Pearls are water absorbent and provide a colourful decoration for glass domes and succulent terrariums, glass vases and wedding centrepieces. Decorate and accent your flower arrangements, wedding centrepieces and glass vases with a creative element to highlight colours and ambience. Aqua pearls are not harmful to fresh flowers. Click here for easy to follow instructions on how to best use Aqua Pearls. Aqua pearls are great for anyone who is looking to create something new and interesting. 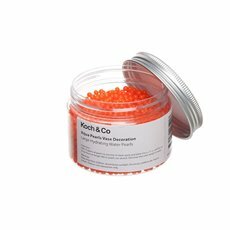 When you soak them in water for eight to ten hours, each one expands to about one centimetre in diameter. They are useful for hydrating fresh flowers and can be used to make so many different looks. Waterproof LED lights are a great way to illuminate them. 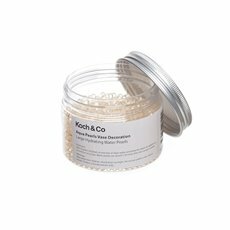 Koch & Co first began in 1931 and it is now renowned as Australia's most trusted glassware importer, distributor and wholesaler. We have the largest range of vases online and can have our products delivered quickly to Sydney, Melbourne, Brisbane, Perth and Adelaide, with service also available across the rest of the country.